Kauai is the oldest of the eight main Hawaiian Islands. Sometimes called the Garden Isle, it is famous for its lush landscape, the result of a hot and heavily precipitous climate. Although Kauai is perhaps best known because of its desirable location for movies, seeing its natural beauty up close is the real deal. • As its name suggests, the National Tropical Botanical Garden is an organization founded to preserve plants particular to tropical regions. It consists of five separate sites, three of which can be found on Kauai. Visitors to Allerton Garden, McBryde Garden, and Limahuli Garden will see thousands of species both native to Hawaii and collected from around the world. 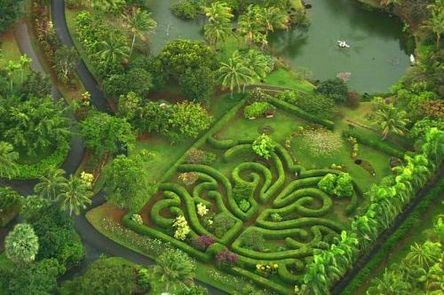 The colors and superb landscaping make the botanical gardens of Kauai a must see. 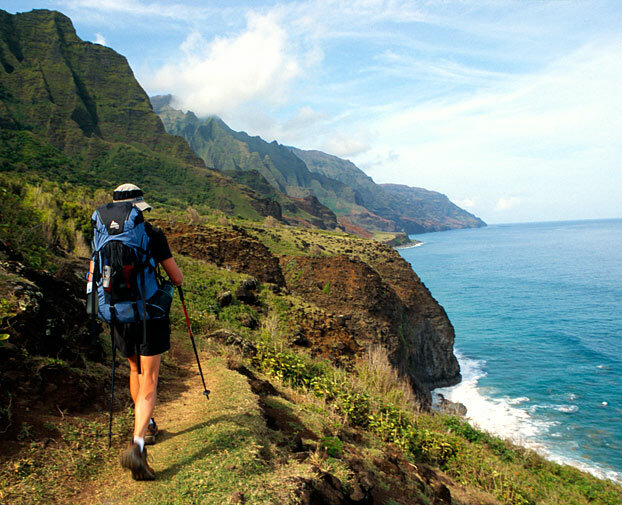 • The Kalalau Trail runs along Kauai’s Na Pali Coast. It’s famous for being strenuous enough to take two days for most hikers to complete, though fit and experienced hikers are capable of finishing it in one. The trail starts at Ke’e Beach, leads to Hanakoa Falls, before continuing into the Hanakoa and Kalalau Valleys. The Kalalau Trail is absolutely stunning and a perfect activity for adventure and photography travel lovers. 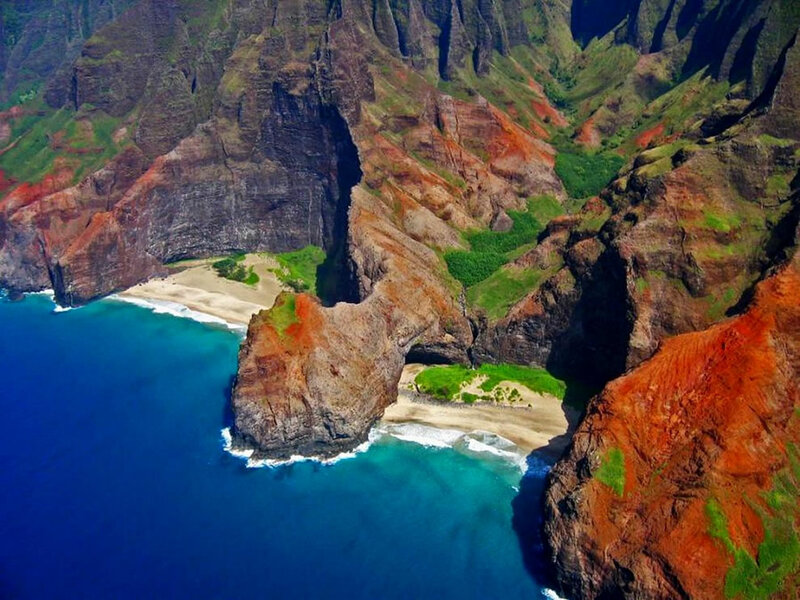 • Kalalau’s South Shore features a number of spectacular beaches. However, there are also great off the path experiences to be discovered nearby. Examples include renting a kayak to navigate the Koloa River, arranging for a dive into the ocean off of Ni’ihau, or finding a great beach spot to watch whales off the coast during the winter. This small island is huge when it comes to adventures and the beauty of mother nature! Our travel club will be planning a Kauai group tour soon but for now check out our famous Hawaii group tours (The Big Island)! Kauai looks like a paradise. Nature is absolutely breathtaking. I am always amazed. Thanks for sharing. Kauai was the first Hawaiian island I ever visited. Went back 10 years later and hope for many more opportunities to see that beautiful place on earth. I’d love to hike the Kalalau Trail — what gorgeous scenery along the way.